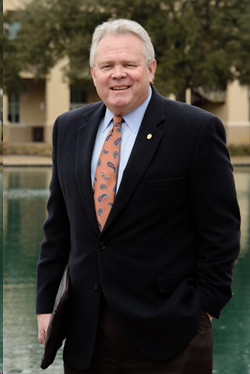 Louisiana College trustees have elected Dr. Rick Brewer as its next president. Brewer, who served 28 years at Charleston Southern University, held the position of vice president of student affairs and athletics. Brewer served as the Director for External Relations (1987-1989), Assistant to the President (1989-1995), Dean of Students (1995-2001), Interim Director of Athletics (1999-2001), and Vice President for Planning and Student Affairs (2001-2009) and Vice President for Student Affairs and Athletics since 2009. He been a member of the President’s Cabinet since 1989. Brewer earned a PhD in Educational Leadership and Policies with cognates in Management and Higher Education Administration from the University of South Carolina, and an MBA and BS in History from Charleston Southern. He also completed post-graduate certifications at both Harvard and Duke. Brewer officially takes office at Louisiana College on April 7.